Oasis Ticket Stub Cardiff 18th March 1996. Condition is Good with a fold along the middle. Dispatched with Royal Mail 1st Class. Manchester England. 06 Be Careful What You Wish For 07 Black & White Sunshine. 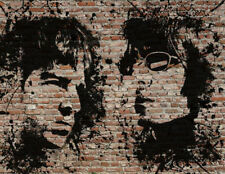 10 Don't Look Back In Anger 11 All You Need Is Love. 07 Half The World Away 08 The Importance of Being Idle 09 Wonderwall. THE ULTIMATE OASIS COLLECTABLE. MUSEUM GRADE QUALITY. STUNNING MUSEUM GRADE REPRODUCTION ENABLES. AUTOGRAPHED/SIGNED PHOTOGRAPH. DIRECT FROM THE UK. 'Be Hear Now' promo card (August 1997) excellent . OASIS '(WHAT'S THE STORY) MORNING GLORY..?' Silver Coin Albums/50p Collectors. OASIS TOUR PROGRAMME - Be Here Now tour 1997 Programme is in very good condition. Please check our OTHER ITEMS for more rare OASIS memorabilia & other vinyl and CDs currently for sale. Payment is via PayPal or Cash On Collection. Please pay within 48 hours. Postage discounts given for multiple purchases. Will post Worldwide. OASIS TOUR PROGRAMME & CONCERT TICKET (Sheffield Arena) 2008. Programme is in very good condition. Ticket is in good condition (has been folded). 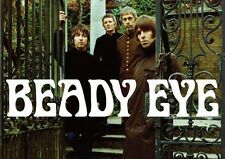 Please check our OTHER ITEMS for more rare OASIS memorabilia & other vinyl and CDs currently for sale. Payment is via PayPal or Cash On Collection. Please pay within 48 hours. Postage discounts given for multiple purchases. Will post Worldwide. Glastonbury FESTIVAL ENGLAND. June 24 2017. 08 Slide Away 09 I Get By 10 You Better Run You Better Hide. Oasis Wembley Stadium 2009 Club Wembley pass. Also included is a set of Oasis pin badges. CONCERT TOUR. DON'T BELIEVE THE TRUTH. LADIES SKINNY FIT. Who they be. SIZE 610X260mm 61x26cms. We will dispatch your goods A.S.A.P. OSAIS ALBUM COVERS. Oasis (Noel & Liam Gallagher) NME SPECIAL COLLECTORS EDITION MAGAZINE COVER. Condition is Good. Dispatched with Royal Mail 2nd Class. Original Oasis Knebworth 1996 T-shirt Size XL. Received this 2nd hand, but still in good condition considering it's 23 year's old. Length - 29". Shoulder - 23". Limited Edition Liam Gallagher Print from One Love Manchester concert. Condition is Like New. Hand signed by the artist Ross Baines. Collection only. Printed onto 250 gsm silk art paper. The condition is near mint. A plus or minus after the grading indicates that the condition is marginally higher or lower than the stated grade. Good = Apparent wear and tear but with obvious deterioration of the condition. Sorry about blurry picture, this is a high quality print. Ive had this a good few years now. Its not in bad condition but used ,all the months are there ,It's been folded but the pictures are pretty good. (The crown jewels of any Oasis collection. A truly stunning item!). Not sure what I have to say about this item, arguably the holy grail of any oasis collection. The only blemish I can see is on the back of the piece where the hinges clearly rock when revealing the cds inside. The itinerary, allegedly the event diary, was out of date before we'd finished binding it. Oasis Book. Condition is Very Good. Dispatched with Royal Mail 1st Class. An ideal gift for any mega-fan of the Brit-pop band, or perfect for decorating your home with, Oasis memorabilia throws it back to a time when the iconic band were gaining popularity. Start your Oasis collection with some signed CDs or get yourself a reprint of an original tour poster. No matter the music memorabilia, you're sure to find the perfect piece here on eBay. A piece of official Oasis merchandise with an apple print on the front is perfect for any fan. The black top features a bitten apple print on the front with a white Oasis print on the back. Or, for something with some real retro charm, go for some memorabilia from one of their famous tours. From 1996, an original Oasis top from their concert in Knebworth is a great collector's piece. The print takes hints from mod-style designs with an Oasis and Knebworth wordmark printed on the front. Choose from a range of signed Oasis memorabilia to add the perfect touches to your collection. A hand-signed copy of "The Masterplan" featuring Liam and Noel Gallagher's signatures is the perfect gift for any super fan. 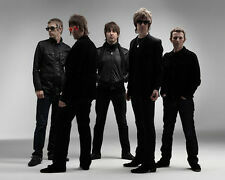 Or choose a signed copy from their "Heathen Chemistry" tour in 2002. 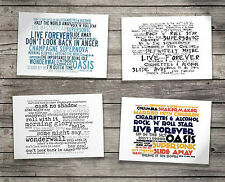 Show off your favourite band by decorating your walls with an Oasis poster. Choose a print with the lyrics to your favourite song, like "Live Forever or Slide Away", or go for a print of Liam singing in his classic hands-behind-back pose. 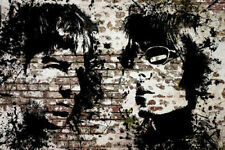 A poster depicting the Gallagher brothers is a fan-favourite or go for a "Be Here Now" promo poster from 1997. Perfect as a centre-piece in your games room or man-cave, a life-sized cardboard cutout of Liam Gallagher is sure to get conversations going.